THPBlog: Sierra Pacific Industries to clearcut log near Round Mountain and Highway 299. 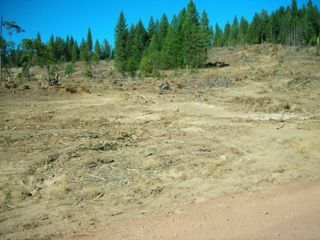 Sierra Pacific Industries to clearcut log near Round Mountain and Highway 299. THP 2-13-039 SHA (Little Man THP) Sierra Pacific Industries, 258 acres; 97% clearcut, 3% roadside logging. McCandless Gulch (MD: T34N R1W Sec.17, 18, 19, 20, 30). Winter operations, moderate erosion hazard, steep slopes up to 75%, oversized units, herbicides, Chinook watershed, shasta salamander within .5 mi, trees up to 40" dbh. Estimated public comment deadline: 09/19/13. This THP is about 2 miles west of the town of Round Mountain and Highway 299 at an elevation of 1400 to 2400 feet. Sierra Pacific Industries is planning a mostly clearcut tractor and cable logging operation in Douglas fir, sugar pine, ponderosa pine and incense cedar forests. The THP area is between the Pit River and Highway 299. There are 5 road drainage work sites including rocking and culvert cleaning. A Shasta Salamander was seen in the northern portion of Section 29, and Butte County Fritillary was reported to be near Units 20C, 20D, 20E, and Shasta Snow Wreath was reported to be near Unit 20C. More information is available on the THP Tracking Center website.